One of the most technically innovative offerings of the post-war years of the British industry, Ariel's futuristic two-stroke was designed for mass transport. As part of the giant BSA group, Ariel had been manufacturing its traditional four-stroke singles, the Square Four, and a version of the BSA 650 twin when, in 1955, BSA decided to turn the entire resource of the factory over to a revolutionary new design offering low maintenance and full weather protection. They may have been influenced by the enormous boom in scooter sales, although the machine that was eventually produced was far from a traditional scooter. Instead, it was a full-size 250cc motorcycle, albeit with small (I6in) wheels. It was built entirely of pressed steel, which was ideal for mass production, and offered tremendous strength. However, the initial cost of the tooling was high and expensive to modify. Not that there was anything wrong with the final design which embodied sound logical thinking. It was based on a strong box beam that contributed to the excellent handling, and which, by acting as a low-slung fuel reservoir, helped to keep the centre of gravity down. The trailing-link forks with dampers concealed inside the legs worked extremely efficiently despite their odd appearance. The engine hung below the main beam, and was designed as an integrated unit. A 250cc parallel twin with 180 degree firing interval, the cylinders were angled at 45 degrees to help keep the weight low slung. Its cost may also have been too high, and in an attempt to appeal to the more sporting customer, as well as offer a cheaper alternative, the Leader was redesigned as the unfaired Arrow, launched in I960. Again, the styling was odd, but the machine was light with a decent performance, and it was much cheaper. Ariel's entire production was devoted to the new range, and in a good month well over 1000 were produced. Tuning experiments upped the power of a works-developed model enough for it to come seventh in the lightweight TT, and the position looked promising. For 1961 a new cylinder head improved the power of the standard machines, and a super sports version, the Golden Arrow, was also launched. But it proved unreliable. Starting could be poor, the gear change was rough, and some maintenance jobs were tricky. Two stroke technology of the time also meant that while the engine was quick, it was often smoky. The construction of the beam frame, complete with dummy tank, is clear to see in the unfaired Arrow. In 1963 the Ariel factory was absorbed into the main BSA plant. 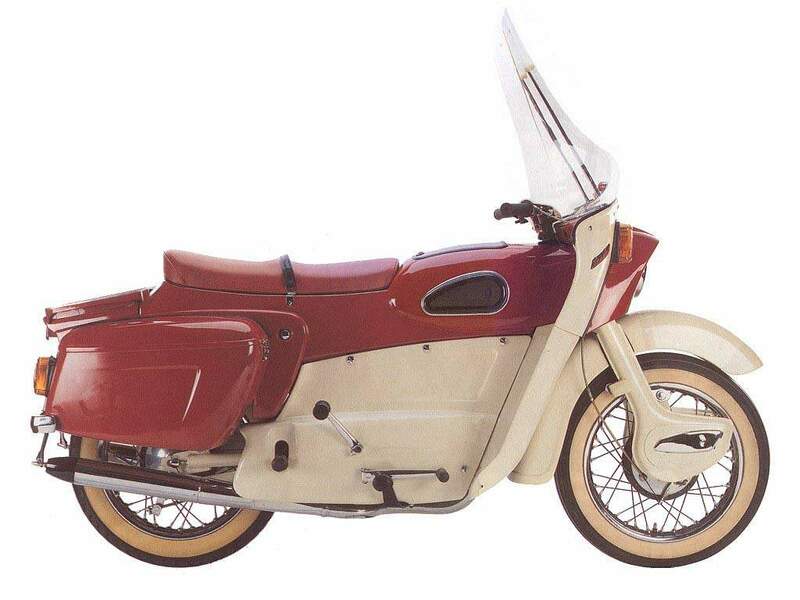 With cleaner, more practical machines appearing from Japan, the launch in 1964 of a 200cc version proved unsuccessful. 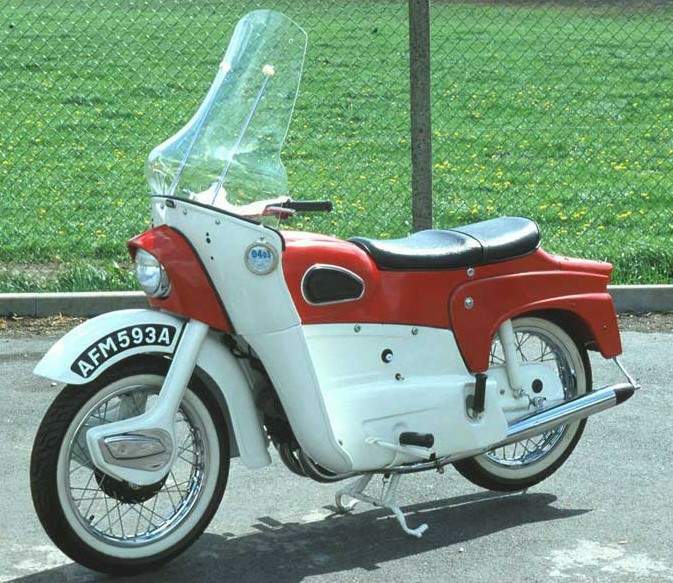 Production ended in 1965, and with it the Ariel name, although t was resurrected by BSA for two spectacularly unsuccessful lightweights, the Pixie and the Ariel 3, over the next few years.